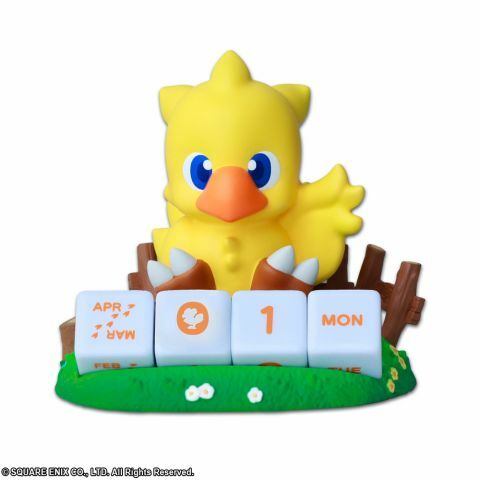 Chocobo's Perpetual Calendar is here! Due to its petite size, it can be placed in various locations, not limited to a desktop. Even though its size is small, it has superb construction with amazing details like flowers, a stump, and gradient shading on the surface of the ground, resulting in a finish that gives it great presence. Other products for "Final Fantasy" in "Figures"
Other products for "Final Fantasy" in "Accessories"
Other products for "Final Fantasy" in "Bags"
Other products for "Final Fantasy" in "Blu-Ray"
Other products for "Final Fantasy" in "Books"
Other products for "Final Fantasy" in "Character Goods"
Other products for "Final Fantasy" in "Key Chains"
Other products for "Final Fantasy" in "Plush"
Other products for "Final Fantasy" in "Stationery"
Other products for "Final Fantasy" in "Wall Art"